This radically efficient approach to network performance monitoring combines all the benefits of virtualization without compromising test speed or precision. 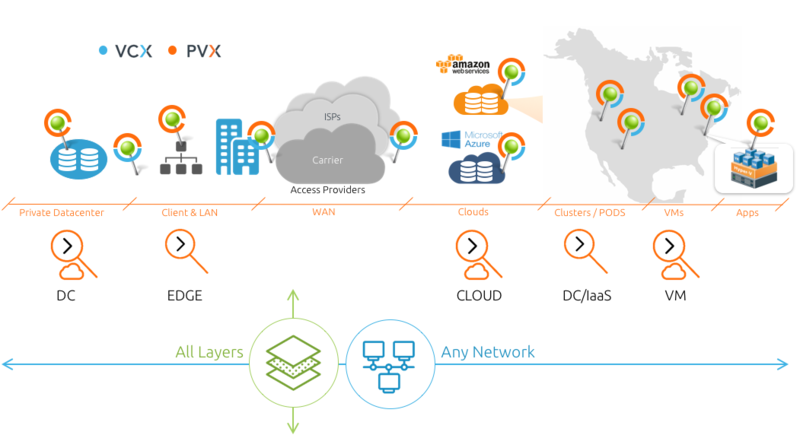 By eliminating key cost, scalability, and coverage barriers to network performance visibility, service providers can now more cost-effectively ensure a better quality of experience (QoE) for users. SkyLIGHT VCX works together with Accedian’s Nano Smart SFP (optical transponder) and compact gigabit Ethernet Modules to deliver multi-flow traffic generation and the ability to monitor the performance of thousands of flows. The modules are easy to install and cost up to 90% less than existing solutions, enabling service providers to realize the significant capital and operational efficiencies promised by an NFV architecture, while their customers benefit from a fully assured network. Designed to fit seamlessly into a service provider’s existing infrastructure and operational processes, the VCX Controller uses the same interfaces as Accedian standalone solutions to interoperate openly with standards-based network elements, management platforms, analytics platforms, and more. SkyLIGHT VCX was crafted from the code, packet processing technology, and over forty patents that Accedian introduced to transform vanilla network interface devices into fully capable Network Performance Elements. Virtualizing these exceptional devices was a natural progression. Accedian’s engineering team migrated management, test control, and results processing functions—already running on Linux on each Element’s CPU—to a centralized controller, while porting wirespeed processing to the latest generation of FPGA programmable processors employed in Accedian modules. Unique to Accedian, our performance modules are capable of full line-rate test traffic generation, with the ability to create and analyze up to four unique flows, or run four concurrent RFC-2544 / Y.1731 service activation tests to multiple service endpoints. This allows service providers to test the actual service path at peak hours, without impacting the network more than the service itself would.